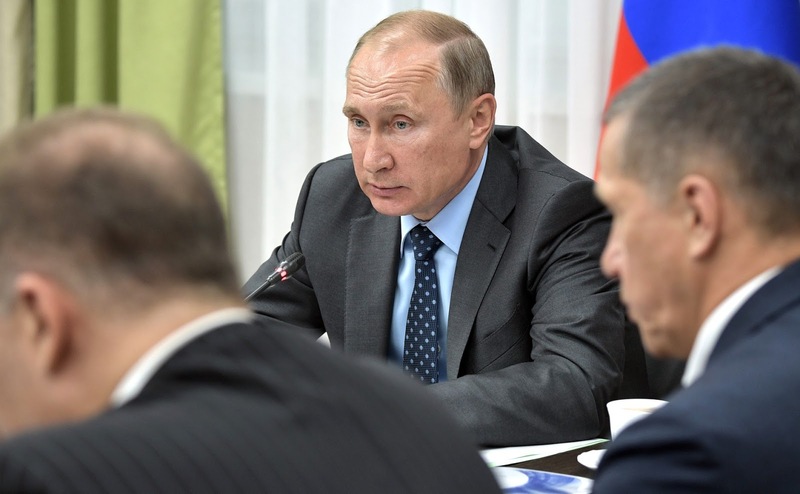 Vladimir Putin held a meeting on implementing major investment projects in the Far East. Excerpts from transcript of meeting on implementation of major investment projects in Far Eastern Federal District. We are here today to discuss the development of the Far East in the broad sense and with regard to big investment projects. Before we begin though, I would like to give the floor to Energy Minister Alexander Novak, who will brief us on the recent power supply disruptions here in this region and in southern Russia, in Krasnodar Territory, which even resulted in power cuts in Crimea for a time. An accident took place on the Far East unified energy grid on August 1. At 2.06pm, due to a short circuit, power was cut on the 220-kilowatt Khabarovskaya-Volochayevka transmission line. Rostekhnadzor [Federal Service for the Supervision of Environment, Technology and Nuclear Management] has set up a commission to investigate the causes of the power cut, which effectively split the Far East unified power grid into two isolated parts. Adding to this was the fact that two transmission lines were undergoing repairs at that moment. The result was that the region’s energy system was divided into two parts, one with surplus energy and the other with a shortage. This led to automatic shutdowns of some generating installations and power cuts for consumers. This resulted in a cut of 1,250 megawatts in power supply to more than 1 million people as well as industrial consumers in Amur Region, Khabarovsk, Primorye and Trans-Baikal territories, and southern Yakutia. There were disruptions to rail traffic and electricity exports to the People’s Republic of China were suspended. At 2.45pm, 39 minutes later, the separated parts of the Eastern Energy Grid were synchronized and work began to restore energy supply to consumers. Over the next 2.5 hours, by 5.30pm, power was restored to all consumers. The commission will establish the accident’s causes and we have taken all the necessary measures to minimize the risk of any similar situation happening again. A short circuit in the operation of high-load machinery affected lines in the Krasnodar Territory energy system, leading to power line cut-off and automatic response by the relay security systems. This resulted in power cuts to consumers to keep the power equipment and network functioning. Rapidly, within three hours, power supply was restored and the energy bridge to Crimea was functioning again. Mr. President, looking at the overall situation with accidents in the system, their number is dropping from year to year. In 2016, we had around 52 accidents of this kind, but we had only 4 accidents during the first half of 2017. Nonetheless, this means that we still have to analyze the situation and minimize as much as possible the risk of rolling or cascade power cuts that leave large numbers of consumers without power. For our part, we are working on this with the commission and will ensure that all necessary measures are taken to minimize such incidents. Please, analyze the whole situation and report to the Prime Minister not just on the causes identified, but also on the proposals you have just mentioned, the measures required to ensure that no such incidents occur in the future. Now, let us return to the subject that brings us together today, namely, development of the Far East. Industrial output in the Far East was up by 103.2 percent in the first half of 2017, while for Russia as a whole the figure was 102 percent. In other words, growth has been faster here. Construction is up by 117.9 percent here, while the national figure is 100.2 percent, and capital investment was up by 110.2 percent in the first quarter, with the national figure at 102.3 percent. Nineteen federal laws were passed, 16 draft laws are being prepared for adoption, 72 Government resolutions were passed over this time, and a further 27 are in the preparation stage. Seventeen priority development zones were established. In 2017, 34 infrastructure facilities financed from the budget will be built for a total 6.7 billion rubles. We have spoken much about the free port of Vladivostok, which now has 422 declared projects worth a total 389 billion rubles. To date, we have 758 projects with a total value of 2.2 trillion rubles and the creation of 110,000 new jobs until 2025. This, incidentally, is in addition to the gas cluster and gas-chemicals projects, which come to another 1.2 trillion rubles. Meeting on implementation of major investment projects in Far Eastern Federal District. Over this time, 40 new enterprises worth 16 billion rubles have been commissioned and 2000 new jobs created. By the end of this year, 85 businesses worth 115 billion rubles will be in operation and 5,500 new jobs created. All of this shows that we are reaching the objectives we set for ourselves in the Far East. As always, we would like some things to move faster, but overall, on the main projects, we are keeping to timetable and working to plan. This is the case at our venue today, for example, at this power plant, where the project decision was made back in 2010. Actual work began in earnest in 2014, and in 2.5 years, we are now close to completion. The fourth unit still awaits launch, but I am sure that everything will be ready in September and I will once more have the chance to congratulate the builders, engineers, and the heads of RusHydro, everyone who has taken part in this major project of great importance for the region and for Russia’s energy sector in general. We are here in Amur Region to discuss, above all, the implementation of big investment projects in the Far East. These are projects that will add a new quality to the region’s economic growth and social sector and will give a big boost at the national level too. I note that investment in infrastructure and high-tech industrial projects alone in the Far East comes to 2.2–2.3 trillion rubles. Together with investment by Gazprom and SIBUR, this comes to more 3 trillion. These are colossal investment resources and a real boost to developing related sectors, producing higher value-added goods and developing our country’s export capability. We must make full use of the Far East mega-projects’ potential, including as centers of attraction for private investment and for small and medium businesses. This, in turn, can stimulate an inflow of qualified human resources to the Far East. I would like to underscore that the principal Far East projects should be used as models for developing management algorithms and resolving systemic issues so that we can use this experience here in the region and in other parts of the country as well. What I mean is, first of all, we need to provide such projects with infrastructure support and appropriate support from all levels of government, to offer convenient financial and tax instruments, to help solve issues related to the supply of raw materials and energy, and to minimize and, if possible, fully eliminate, administrative barriers and all kinds of pressure from administrative and law enforcement agencies. We are talking about major projects ‒ the modernization of the Baikal-Amur Mainline and Trans-Siberian Mainline, as well as the creation of the Eastern Petrochemical Complex and the Amur gas-chemical cluster. As I have already said, today we visited the construction site of the Nizhne-Bureiskaya HPP. The plant will supply electricity to new industrial enterprises and the Vostochny Space Launch Centre. I believe it is right that a forward-looking approach to creating energy infrastructure was chosen. The Svobodny and Neftekhimichesky priority development areas were created to establish the gas-chemical cluster and the Eastern Petrochemical Complex. On August 1, a comprehensive system of support was launched in Russia for investment projects – residents of the priority development area. Today it is necessary to work out specific mechanisms for interaction with major investors; I primarily mean joint efforts to create a supporting infrastructure. The program to develop the Russian Far East includes 12.5 billion rubles for building the infrastructure of the gas-chemical cluster in the Amur Region. Let us discuss today how to use these resources most effectively and analyze proposals for the investor to receive these funds in the form of subsidies. Strictly speaking, as far as I know, the Finance Ministry has agreed on this, right? So we should understand what amendments to legislation should therefore be made. Work will begin before the year ends on the construction of another big facility – the Eastern Petrochemical Complex, in Primorye Territory. To keep to schedule here, we need to ensure that the required gas supply and transport infrastructure are in place. I am referring here to the sea port at Vostok Bay, railway links and oil pipelines. We also need to settle the sources of funding and look at how to organize this work, decide what will be done through private investment and what will receive state support. I recall that last December, we gave instructions regarding support for this enterprise. I would like to hear today about the situation in this area, what has been done and what further measures are needed. Big projects with long-term planning horizons require flexible tax arrangements. At the Eastern Economic Forum last year, businesspeople asked for tax incentives to be extended for residents of the priority development zones implementing long-term projects. We have examined these proposals and a week ago, the Government submitted to the State Duma a draft law under which investors putting more than 100 billion rubles into Far Eastern projects will be entitled to profit tax incentives for up to 19 years. I hope that this draft law will be passed by the end of this year. We debated long and hard about what should be the cut-off point for being eligible for these incentives, but let us say that we have decided to agree for now with the Finance Ministry and set it at 100 billion. Let us see how this works and, perhaps, we could later take a softer line in this regard. The sooner this is done the better. Human resources is another key aspect for big greenfield projects. We must work above all to involve Russian specialists at the construction stage and in operating the new facilities. It is essential to make maximum use of the human resources potential of Far East companies, universities, colleges and other educational establishments. As for attracting human resources from abroad, carefully planned and flexible solutions are needed here, solutions based on real objective needs. This regards the relevant qualifications of specialists brought in, and commitments regarding the implementation of projects involving tied financing, and so on. However, I would like to repeat, we must above all work to attract Russian specialists at every stage of these projects. And of course, we need to create a comfortable living environment and comfortable conditions for the employees’ families. Here, in the Far East, this issue is especially acute. In fact, modern towns and settlements, convenient and attractive for people, should be built around new modern enterprises. And these towns and settlements should be attractive not only for Far East residents, but also for all citizens of the Russian Federation. Taking the Amur Gas Processing Plant as an example, we can see how a large investor enters the region to build not only enterprises, but also housing. And, as far as I understand, this is done at the expense of the company. However, as for providing employees with social facilities, we agreed that this would be done through subsidies. How to do this – whether the region’s authorities will do it or the investor, what is important is to do so in accordance with the requirements of the region. If this is Gazprom, then there should not be any palaces here. Everything should be convenient and modern and must meet modern requirements, without excesses, but at a good level. And, of course, such facilities must undergo a general procedure of preliminary inspections and approvals. No doubt, investors need support from the state and local authorities. Russian Government is working on a bill that would set off Far Eastern investors’ expenses on backend engineering infrastructure through future taxes. This is also worth discussing; I will not jump ahead. I hope that today we will talk about this in more detail. On July 22, the Government approved a long-term plan for the integrated development of Svobodny, a single-industry city. It includes 47 facilities and activities in the fields of health, education, culture, sports, and road and utilities services. I would ask the Government to ensure the effective implementation of the plan to develop Svobodny and to provide for all the necessary solutions in drafting the budget for the upcoming three-year period. To conclude. The large-scale investment program of the Far East should be associated with the development of the transportation cluster of the region, primarily the Baikal-Amur Mainline and Trans-Siberian Mainline. According to the project approved three years ago, the carrying capacity of these lines should grow by 66 million tons by 2020, over 30 million tons of which should fall to Far Eastern shippers. And I want to emphasize that Far Eastern companies should get priority access to transportation services and have all the opportunities for full-fledged supply and export of products. One more thing. When working out all these Far Eastern development plans, we proceeded from the fact that ministries and agencies, when planning their activities, would take into account the plans for the development of the Far East, and we did not agree that ministries and agencies would require any additional resources. Apparently, our colleagues cannot get used to this. I want to draw your closest attention to this matter. I understand that there may be more convenient places to spend money, but we agreed that it is the Government that sets priorities. Shortly, I will ask our colleagues from the relevant agencies to analyze everything that is happening in this field, and I would like to warn you: we will carefully examine the results of this work. I would like to reiterate that there are state priorities, which are determined by the President and the Government. And I ask you to approach this with great attention. Do not revise our decisions at the departmental level. We will certainly analyze this practically current work and make appropriate conclusions. It is extremely important. Not only investments by Gazprom or SIBUR or Rosneft or other large investors or power engineers, RusHydro, but also the current work of ministries and agencies is important, and I want to see it. So let us get down to work. Mr. Novak, you have the floor. Let me briefly speak on the current situation and the prospects for development in the fuel and energy complex of Eastern Siberia and the Far East and other key large-scale investment projects. I have prepared a presentation ‒ you have it ‒ with one slide for each sector, showing major projects launched in the past five years, as well as those planned for implementation in the mid-term. As regards the oil industry, the oil sector in Eastern Siberia and the Far East is going through rapid growth. Last year, oil production in the region stood at 69 million tons, and it has increased by 40 percent in the past five years. This is a very substantial figure. It was made possible by stimulating oil extraction through an introduced mechanism of offering export customs duty discounts on oil for deposits located in newly developed regions. Pursuant to the draft Energy Strategy of Russia until 2035, measures are envisaged to increase oil production by another 70 percent, to 118 million tons. Rosneft plans to launch the promising Tagulskoye field at the Vankor oil field cluster as early as this year, while the Kuyumba cluster is currently under development in Evenkia to become the resource base for the new Kuyumba-Taishet oil pipeline. In 2018, Slavneft plans to launch the Kuyumba oil field, and Rosneft will launch the Yurubcheno-Tokhomskoye field. An ambitious program for the development of the oil transportation infrastructure is also being implemented, aiming to boost oil production in promising regions. To increase oil deliveries to China and other Asian countries, a project is being carried out to expand the Eastern Siberia–Pacific Ocean (ESPO) oil pipeline and increase the capacity of the Skovorodino-Mohe pipeline offshoot to 30 million tons. The capacities of ESPO-1 and ESPO-2 will reach the planned figures of 80 million tons and 50 million tons, respectively, by 2020. For oil deliveries from the newly developed fields in Krasnoyarsk Territory and the Yamal-Nenets Autonomous Area to foreign markets, Asia-Pacific markets and to oil refineries in Russia's Far Eastern Federal District, the Zapolyarye-Purpe and Kuyumba-Taishet oil pipelines were built. Mr. President, you launched them in January 2017. As regards the oil-refining industry, the modernization of the Khabarovsk Oil Refinery was completed in 2014. The upgrade of the Komsomolsk Oil Refinery is underway. The branch from ESPO-2 to the Komsomolsk Refinery with a capacity of 8 million tons a year will be completed in 2018. Also, under the draft Energy Strategy, oil production in the Far East is planned to increase by almost three and a half times, to 39 million tons. Mr. President, per your instructions, the Government is subsidizing the construction of the Eastern Petrochemical Complex. The project includes the construction of an oil processing and petrochemical complex, with oil products and petrochemicals supplies to the Far Eastern Federal District and the Asia-Pacific region. The operator, Rosneft, plans to carry out the construction in three stages. Stages one and two should be operational by 2022, including the oil refinery with a capacity of 12 million tons annually and petrochemical facilities with a capacity of 3.4 million tons a year. The investments for these two stages will total 796 billion rubles. Today, we received the technical specifications for the external infrastructure facilities and are working on the sources and mechanisms for financing with the involved companies – Russian Railways, the Federal Grid Company of the Unified Energy System (FGC UES), and Transneft. We have the proposals, and we do not foresee any specific hurdles. In order to increase oil distribution to the domestic market and oil exports to China, we are considering the construction of an Amur oil refinery with a capacity of 6 million tons a year. The project suggests inviting foreign investors. Regarding the natural gas sector, the Far Eastern Federal District is a prospective and strategic gas producing territory based on its potential resources and reserves. In the past five years, the extraction of natural gas has grown by almost 10 percent totaling 32.8 billion cubic meters. The Energy Strategy envisages an increase in gas extraction in the region by almost two and a half times by 2035 – that is, up to 80 billion cubic meters annually. The main gas producing regions are the Sakhalin Region and the Republic of Sakha (Yakutia), as well as the Irkutsk Region. The regions of the Russian Far East are geographically distant from the unified gas supply system, and lack the necessary production infrastructure and gasification. These factors led to the need to introduce the Eastern Gas Program, which today is part of the draft guidelines for developing of natural gas industry until 2035. The implementation of the Eastern Gas Program envisages the use of own resources of the gas condensate fields whose location led to the development of gas production centers in the Sakhalin Region, the Republic of Sakha (Yakutia), the Irkutsk Region, Krasnoyarsk Territory and the Siberian Federal District. The work to develop gas fields in Eastern Siberia and [Russia's] Far East will include linking them technologically to Russia's existing unified gas supply system as part of developing the gas production centers. The development of natural gas production and provision of gas supply in the regions of the Far East are primarily concerned with providing gas deliveries via the Power of Siberia main pipeline, which is designed for gas transportation from gas production centers in the Irkutsk Region and Yakutia to the Russian Far East and China under the 30-year contract between Russia's Gazprom and China National Petroleum Corporation to supply 38 billion cubic meters of gas each year. The Power of Siberia pipeline will run across the Irkutsk Region, the Republic of Sakha (Yakutia) and the Amur Region. The projected route aims at providing gas supplies to a maximum number of cities and towns. As of today, the welding work has been completed on the pipeline section of 1,150 kilometers, just over half of its total length. The gas deliveries will begin on December 20, 2019, as Mr. Miller reported to you today. The main resources for the pipeline are two unique gas fields: the Chayandinskoye gas condensate field in Yakutia and the Kovyktinskoye gas condensate field in the Irkutsk Region. Last year, exploration work was completed at the Chayandinskoye field, which is to be launched in late 2019. Its planned production capacity is 25 billion cubic meters a year. The Kovyktinskoye gas condensate field is to be launched in 2024, with the planned production capacity of 25–35 billion cubic meters a year. The Amur Gas Processing Plant near Svobodny in the Amur Region, where you launched the construction works today, will become an important link in the chain of natural gas distribution. Once the plant is in operation, it will produce up to 2.6 million tons of ethane, 1.6 million tons of liquefied petroleum gas, up to 60 million cubic meters of helium and up to 38 billion cubic meters of sales gas annually. Gazprom plans to launch the first production train at the plant in 2021 and the second in 2024. The total investment is estimated at 1.34 billion rubles. The projects required for completion of the plant are going according to plan. The design specifications are finished and have been approved by Glavgosexpertiza [General Board of State Expert Review]. The construction permits have been issued. There are plans to build an Amur gas chemical facility near the Amur Gas Processing Plant to further process ethane and produce ethylene and polyethylene of various grades. The construction schedule has been timed with the stage-by-stage launch of the Amur plant’s facilities. The project’s operator, SIBUR Holding, estimates the necessary investment at 500 billion rubles. The plant is expected to begin operations in 2024. To clarify the precise timeline of the project, it is necessary to reach an agreement and sign an ethane supply contract between Gazprom and SIBUR Holding as soon as possible. One of the priority areas of the gas production strategic development plan according to Russia’s Energy Strategy is further progress in the production of liquefied natural gas. The most important LNG project in Russia’s Far East is Sakhalin II LNG plant. As of the end of last year, 14.6 billion cubic meters of gas were exported. To further increase production volumes, there are plans to build a third production train, with a capacity of 5.4 million tons of LNG per year. The final investment decision is expected by the end of the first quarter of 2019. The target deadline for the third production train to go into operation is 2023 to 2024. The project’s operator, Sakhalin Energy, is currently negotiating gas deals with potential suppliers, that is, the Sakhalin I operator and Gazprom, who manages Sakhalin III. I would like to say a few words about the coal industry because it is also part of the fuel and energy complex and there are some major projects. Under the Energy Strategy, there are plans to site coal production in Far Eastern regions that have about 20 billion tons of studied coal deposits. Considering long-term coal production volumes, this will last us over 250 years. Today, we have boosted regional output by almost 30 percent to 42 million tons over the past five years. There are plans to double coal output to almost 80 million tons by 2035. The most important long-term projects include the Elga Coal Complex in the Sakha Republic (Yakutia), operated by Mechel. This is the most ambitious post-Soviet coal industry project with 2.1 billion tons of highly valuable fat coking coals. Total output is to reach 27 million tons, and the first stage is to attain design capacity in 2018. The project aims to create up to 15,000 jobs at this cluster alone. We are also building the Inaglinsky complex in southern Yakutia with a capacity of up to 10 million tons. The Urgalskoye bituminous coal deposit in Khabarovsk Territory will provide another 10 million tons. One can also mention the Amaamskoye coal deposit in the Chukotka Autonomous Area and other projects in Sakhalin Island and Magadan Region. New coal production centers that are due to be established in eastern Russia will be located in close proximity to future customers, and this arrangement will consolidate Russia’s positions on the markets of Asia-Pacific countries. Considering the fact that the Asia-Pacific markets consume the bulk of all coal exports, the expansion of port facilities on the Pacific coast is a key factor for all Russian coal-producing regions. Today, many major coal industry exporters are establishing their own coal terminals or are acquiring stakes in seaports. Development and an accessible railway infrastructure for transporting products is another important factor. The ongoing modernization of the Trans-Siberian and Baikal-Amur mainlines has already made it possible to boost the Far Eastern Railway’s freight turnover from 205 million tons in 2011 to 252 million tons this year. However, I would like to draw your attention to the fact that new projects for establishing transshipment facilities in the Far Eastern Federal District will reach the required freight traffic capacities already from 2020. Mr. President, I believe that we need to synchronize the target parameters of the development programs for the railway, energy and port infrastructure, and also with the development plans of major consignors and consignees. It is important to start the next stage today – to boost the capacity of the Volochayevka-Komsomolsk-on-Amur-Vanino section to about 80 million tons from the current 40 million, taking into account the program implemented by Russian Railways. This will match the aggregate capacity of the announced coal port projects. We also need to coordinate the development of the Trans-Siberian Railway throughput capacity with the planned projects for the development of port facilities in the Primorye Territory. We would ask to instruct the Transport Ministry and the Energy Ministry following this meeting to ensure that all the interested parties work on proposals for the second stage of the railway infrastructure development. Now a few words about power generation, as far as the industry’s development is concerned. In general, we believe that energy consumption in the Far East will grow. In the medium term, we see an increase in energy consumption by almost 70 percent, due, among other things, to the implementation of the large projects we are discussing today. Also, there are planned electric power projects, such as the energy infrastructure development in the BAM and Transsib zones. The FGC is now working on this project, which includes the construction and modernization of main power grids and substations. Two RusHydro subsidiaries, DRSK and FGC, are planning to build and modernize electric grids that supply power to major projects under construction – the Power of Siberia pipeline and other facilities we discussed today: the Amur gas refinery and the gas chemical plant. The ESPO system expansion also involves the technological connection of its facilities, with a total capacity of 646 MW, to the power grid. To supply power to the Eastern Petrochemical Company facilities, Rosneft plans to build a 565-MW thermal power plant. The Zvezda Shipyard will be powered by a Federal Grid Company substation, 220 kV. But in addition to these projects, there are a number of other power grid infrastructure projects still under construction. In particular, I would like to mention the construction of the Ust-Srednekanskaya hydroelectric power plant, which will power the most promising Yano-Kolyma gold-mining province, located in the Magadan Region and the Republic of Sakha (Yakutia). In 2018, we expect to launch hydroelectric unit number three with a capacity of 142 MW. The construction of the Nizhne-Bureiskaya HPP also continues, but you have already mentioned this. Three units were launched today. Mr. President, per your executive order, RusHydro is building four power generation facilities with a total capacity of over 500 MW in the Far East. We opened the first stage of the Blagoveshchensk Thermal Power Plant last year. This year, we will open the first stage of the Yakutskaya State District Power Plant-2 with a capacity of 193 MW, as well as the first stage of the Sakhalin State District Power Plant-2 and a thermal power plant in the town of Sovetskaya Gavan in 2018–2019. And we are planning to merge the western and central Yakutia power grids with the Unified Energy System of the East. Russia’s first floating nuclear thermal power plant is to be completed in 2019. This will be an important event for the power industry. These power stations are designed to replace the Bilibino Nuclear Power Plant and the Chaunskaya Thermal Power Plant, due to be shut down in Chukotka. Today, the Government is implementing the approved road map on top-priority measures. The Finance Ministry and we are now securing the required funding for the system infrastructure and a power facility in the town of Bilibino. Mr. President, in conclusion, I would like to emphasize that the development and initial operation of new oil, gas and coal deposits, the development of the transport, port and power infrastructure, and the construction of new high-tech oil and gas refining facilities will all make it possible to substantially expand the economic potential of Eastern Siberia and the Far East, including through the export of advanced processing products, such as polyethylene, helium, liquefied hydrocarbon gas and others, to boost our export potential and to spur the socioeconomic development of Far Eastern regions. This also makes it possible to create tens of thousands of high-tech jobs and to award contracts for local research and development, and for education. These projects and the development of the power industry will also make it possible to expand regional budget revenues considerably and to completely meet local petroleum product demand. This should also influence pricing policy issues and create opportunities for building gas pipelines in various communities in the Far Eastern Federal District. 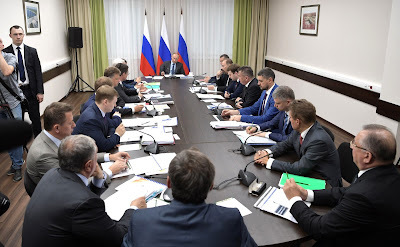 This will make the power grid more reliable, and we will expand ties with other Russian regions, as per your question at the beginning of today’s meeting. We consider the development of these projects to be a priority, and we will continue to work on them. Mr. Sechin, go ahead please. Petrol production in the Far Eastern Federal District does not fully meet regional demand. There are two major refineries in the region, in Komsomolsk and in Khabarovsk, with an output of about 1.1 million tons per year. Even today, the annual demand in the Far Eastern Federal District exceeds local production by some 400,000 tons, and by 2030 this deficit could reach 1–1.5 million tons each year. To offset this shortage, petrol is delivered from far-away Russian regions, from the Krasnoyarsk Territory and the Omsk Region, which leads to higher prices in the region. As a result, prices of oil products in Russia’s Far East are determined by transport costs. The project to set up the Eastern Petrochemical Company that will include major oil refineries is designed to satisfy the demand for petrol in the Far Eastern Federal District for the long term. The petrochemical complex of the Eastern Petrochemical Company is expected to become the core of the emerging petrochemical cluster in the Far Eastern Federal District. Specifically, the decision to set up priority development areas for the petrochemical industry as the foundation for the Eastern Petrochemical Company has already been taken. According to various forecasts, Southeast Asia will drive global demand for oil products. New refineries are being built in the region, but after 2025 they will be unable to meet demand, which creates opportunities for exporting oil products produced in excess of the demand in Russia’s Far East. The market for petrochemical products is even more promising. In the long term, the petrochemical market is expected to maintain high growth rates, especially in Asia-Pacific. By 2020, consumption of the main petrochemical products is expected to increase by 34 percent in the Asia-Pacific region, and by another 47 percent between 2020 and 2030. Taking into account that Russia is rich in the raw materials used in the petrochemical industry, it has a unique opportunity to develop petrochemical production in the Far Eastern Federal District and gain a foothold in the emerging Asia-Pacific markets. A few words about infrastructure for the Eastern Petrochemical Company and its geography. The complex is located in Pad Yelizarova, four kilometers from Nakhodka. This location offers important strategic advantages: the complex is close to the key export markets in Asia-Pacific, it is near the sea, and a sea terminal will be built there with an annual throughput capacity of 8 million tons. The Eastern Petrochemical Company will provide for cost-effective deliveries of motor fuel to the Far Eastern Federal District, being close to its key high-volume markets. The complex is well located in terms of infrastructure availability. It is 11 kilometers away from the ESPO oil pipeline, half a kilometer away from a future gas pipeline, 34 kilometers from the railway and 11 kilometers from the road system. Another important feature of the Eastern Petrochemical Company project is that it relies only on its own raw materials, which reduces the risks for shareholders and investors. The oil refining complex will receive oil from the ESPO pipeline, and the petrochemical complex will be fully integrated with the refinery, covering 70 to 80 percent of the demand for naphtha and liquefied petroleum gas. Other raw materials will be delivered from the Komsomolsk Oil Refinery nearby. In this sense, the logistics will be efficient. The Eastern Petrochemical Company will feature both oil refining and petrochemical production. This will be an advanced refining facility with a flexible technology system, and the capacity to refine 12 million tons of oil per year using a unique integrated equipment complex. This project replicates Rosneft’s existing oil refining facilities, since a similar complex operates in Tuapse. This is expected to reduce the time it takes to design the project. In fact, what we need is to adapt the project that includes a hydrocracking and hydro-treating complex, as well as a delayed coking unit. The technology used in this project will enable us to produce Euro 5 grade fuel with a refining depth of over 95 percent. Petrochemical production will be based on a pyrolysis unit with an annual capacity of 3.4 million tons. It will produce a wide range of petrochemical products that are popular in the Asia-Pacific markets using advanced international petrochemical technology, including polyethylene, polypropylene and mono ethylene glycol. In a favorable market, the complex and its infrastructure could be reconfigured to expand capacity and produce more products. In fact, the capacity can be doubled. Our country’s leadership supported this project which has considerable economic and social significance for the Far East and the entire country. Mr. President, you issued the necessary instructions, and the Government later passed several acts. I can tell you that the design stage is now complete, with environmental and, most importantly, state experts positively assessing the production complex and the infrastructure facilities. The company is proceeding with the project and is now moving to the detailed design stage. As per your instructions, the Government has made the following essential decisions. A resolution to establish the Neftekhimichesky priority socioeconomic development area in the Partizansky municipal district of the Primorye Territory has been issued. An instruction on withdrawing land inside the complex’s industrial site from the Forest Fund and designating it industrial land, and another instruction on expanding the port of Nakhodka have been issued. At the same time, the following important issues remain unresolved. We have failed to receive confirmation that sufficient federal funding will be allocated for facilities around the Eastern Petrochemical Company. The company has fulfilled its obligations under the “road map,” and it has submitted the feasibility studies, as required by law. We are in talks with the Ministry for the Development of the Far East, and we can compromise on some expenditures, by including the petrochemical sea terminal in the project. But, of course, this is possible if we receive long-term project funding. Providing the complex with a sufficient volume of natural gas remains our key issue. We are still unable to completely resolve this issue, despite the instructions with regard to the main gas producer. By the way, Mr. President, this volume is not exorbitant, about 2.3 billion cubic meters of gas that will mostly be used for power generation. Our minister just said that we will open a high-capacity 565-megawatt power plant by 2021 that will generate electricity for the complex and nearby localities. Gazprom has yet to confirm the required supply volume and a willingness to ensure an increased capacity of the main gas pipeline by the second quarter of 2020. We risk falling seriously behind the planned deadlines and the resulting reduction in economic performance in the absence of these commitments. We are in the middle of a dialogue with Gazprom. Gazprom suggested retrieving gas resources from Rosneft’s perimeter but we do not have those resources. The amounts produced in Sakhalin by the projects that can produce gas are already being delivered to the facilities in Sakhalin and the Far East, in the Khabarovsk Territory, including the RusHydro facilities. Even if we abandon this plan and redirect the volume to the Eastern Petrochemical Company (which appears unlikely), we will be forced to suspend operations at the power generating facilities currently using this gas – and even then, the existing gas-based production capacity will not be enough to maintain Eastern Petrochemical Company production. Therefore, we are asking for assistance, to find a way to resolve this issue within the previous instructions. We continue cooperating with our foreign investors. We have signed binding documents with several Chinese investors. There are even proposals from our American partners regarding the petrochemical production. But in terms of integration, China’s proposals are more appealing. Mr. President, we will also report on this in the context of preparations for the next BRICS event. 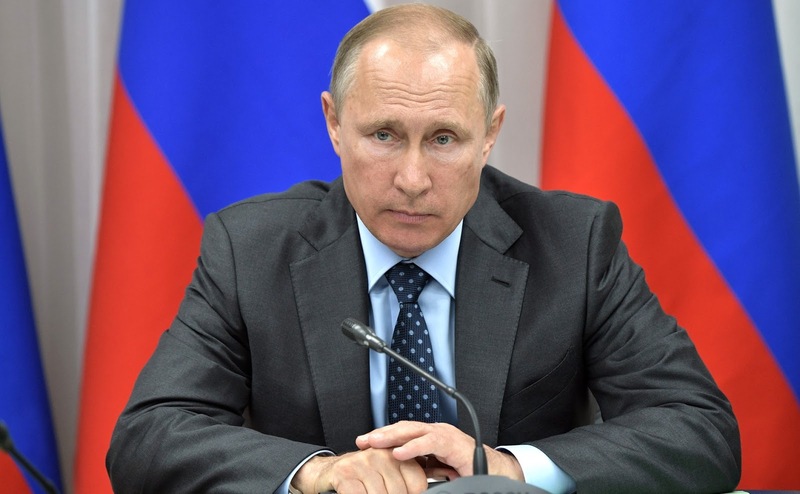 The issues concerning cooperation with Transneft are being handled in due course. We do not foresee any problems here, and believe that we will be able to work through any issues in this area. Mr. President, I would like to briefly mention another large project. You referred to it earlier: the Zvezda Shipbuilding Complex. The Energy Minister also touched upon it. The work there continues, and a lot has been done. We invite you to visit the facility during the Eastern Economic Forum and see it for yourself. One issue remains however, which is building a portfolio of orders from Russia’s major consumers of marine equipment. Besides Rosneft, there are few orders. Therefore, I would like to ask you to return to this issue and take measures for the steady development of this facility. Mr. Miller, you have the floor. Today, the President of the Russian Federation launched the construction of the Amur Gas Processing Plant’s main production facility. The Amur Gas Processing Plant will be able to process 42 billion cubic meters of natural gas and 38 billion cubic meters of sale, or commercial gas. Mr. President noted at the official event today that this country has not built a facility like this in 50 years. For example, the Orenburg Gas Processing Plant, which was started in 1971, completely attained its design capacity in 1978. Once opened, the Amur Gas Processing Plant will be the largest facility of this type. In addition to the commercial methane and the 38 billion cubic meters of gas, the plant will produce two million tons of ethane, 1.7 million tons of liquefied hydrocarbon gases and 60 million cubic meters of helium. Regarding the helium, it should also be noted that the plant will be the largest helium producer in the world, accounting for 30 percent of global helium production. Today, we completed a very important preparatory stage in the construction. All of the project documents have been compiled, with General Board of State Expert Review (Glavgosexpertiza) officials approving the project. The land has been designated for future facilities that will eventually be built. The agreements with the contractors have been signed, and the construction site has been prepared. Today, Mr. President, you saw the construction site after the grading and levelling had been completed. Before this stage, the site had an elevation variation of 65 meters, and now it’s down to 15 centimeters at the main plant site. We are now completing the temporary buildings and other facilities for the workers, and we are also completing transport infrastructure, including special purpose roads and a railway. The general-use railway we built includes the expansion and reconstruction of the Ust-Pyora Railway Station. Russian Railways CEO Oleg Belozerov and I have reached an understanding, and we have no disagreements on the use this railway infrastructure. Gazprom will also open a pier on the Zeya River before the year is out, and we will begin shipping bulk consignments in the 2018 navigation season. The Zeya River will be dredged for the larger tankers. Mr. President, I would like to ask you to instruct the Ministry of Transport to allocate the funding to conduct the dredging operations while the plant is under construction. There is an additional option for resolving this issue, and, doubtless, it must be presented. We could discharge water from the Zeya reservoir which is upstream. To do this it would be necessary to amend the regulations for using Zeya reservoir’s water resources. It would be possible to temporarily discharge water from the reservoir to maintain the depth needed during the delivery of these bulk loads. In this connection, Mr. President, I would like to ask you to instruct the Ministry of Natural Resources and Environment to make these amendments. At the beginning of June, the Government decided to create a new priority socioeconomic development area, Svobodny. Our subsidiary, which is the customer for the projected Gazprom Pererabotka Blagoveshchensk refinery, will become a resident of that free economic zone. This special area offers incentives including in terms of federal subsidies for social infrastructure projects in the town of Svobodny of up to 12.5 billion rubles. As for housing, there is a residential project for 5,000 people – this will be financed by Gazprom, and includes the construction of an Orthodox church. Mr. President, you noted today the need to consider a procedure for using these funds. Please issue instructions that it be considered within, perhaps, the next month, so that the customer can be appointed and the procedure for selecting contractors established. There are several options. Apparently, we just need to select the best alternative to finance this construction and complete the work on schedule. Mr. President, several foreign companies are involved in the construction of the Amur Gas Processing Plant, including German, Italian and Chinese companies. At present, we are in contact with the Labor Ministry to acquire quotas for using foreign workforce. The decision for 2017 is essentially prepared, and the announced date for securing the quota is August 12. Mr. President, would it be possible to include an instruction for the Labor Ministry and the Interior Ministry to promptly review and decide on the quotas for the foreign workforce for the entire construction period in today's meeting minutes? In 2015, Gazprom adopted a targeted program for training workers with vocational education and higher education for the Amur Gas Processing Plant. As for vocational education, we have fully formed the quotas and are training specialists at local Amur Region institutions, in particular, the Amur Technical College. Gazprom provides financial assistance for equipping labs, training and other facilities and amenities. Also, specialists are being trained at universities. This project involves universities across Russia: Amur State University, Kazan, Tomsk, and Moscow. So, by the time the plant begins operating, all the qualified staff for the company will be fully prepared. The plant will be opened in several stages – six production lines or trains for 7 billion cubic meters of gas each will be built. The first phase will be put into operation in April 2021 and include two production trains; then one production train each in December 2021 and in December of each subsequent year. In December 2024, the sixth production train will become operational, and from January 1, 2025, the plant will operate at full capacity. The first deadline – April 2021 – was determined at the beginning of the project; as of today, there have been no scheduling setbacks. These time limits will be observed. Today, we have considered four major projects that make a significant contribution to the development of the Russian Far East. Nevertheless, it needs to be said that in addition to that, over 750 small, medium-sized and big business projects are being implemented in the Far East and they describe administrative pressure as a crucial factor impeding economic growth. Eighty percent of entrepreneurs and investors are confronted with inspections already during the first year of operation; these inspections are mostly unscheduled, are not coordinated with the prosecutor’s office and are sometimes open to the general public – that is to say, their results are published in the press before they are finished, thus causing serious damage to the company’s business reputation. Mr. President, we have prepared proposals on reducing administrative pressure on business. I would like to ask you to consider them. I have had a look at your proposals. First, I believe this is an important matter, and not only for the Far East but for the country as a whole. Administrative pressure, pressure from law enforcement agencies is often absolutely excessive. This is why we talk about this all the time and make corresponding decisions and, by the way, many of them are producing a positive effect. However, practice shows that these decisions are not enough. This also applies to the number of so-called snap inspections. As a general rule, snap inspections are conducted without corresponding coordination with the prosecutor’s office; only 2 to 3 percent of them are coordinated with the prosecutor’s office while everything else is basically going on alone. In this context, I consider it possible to limit the number of snap inspections with regard to entrepreneurs: not more than 30 percent of the number of planned inspections, except for situations related to emergencies, emergency circumstances. In an emergency, such inspections are of course justified and cannot be reduced. Regarding the timeframe for snap inspections. Today, they can last endlessly and this must be brought to an end. The timeframe for snap inspections should be limited to 10 days. Now regarding the subject of snap inspections. I believe it is possible to limit it only to facts that have served as grounds for the inspection. We know what reality is like. An inspection authority moves in citing one reason and then inspects everything without exception. Now regarding an issue that is highly sensitive for the business sector: using a [pretrial] measure such as taking [a suspect] into custody. This is a difficult and very sensitive matter. To reiterate, we have a special law that introduces a special procedure for taking measures ensuring the investigation of entrepreneurs. However, law enforcement agencies often bypass this article by initiating criminal proceedings under other statutes, including fraud. So the investigation is conducted for a very long time. After a certain period, as provided for by law, law enforcement officers go to court requesting custody extension. It is necessary to streamline this issue. As they seek custody extension, investigators often do not provide convincing evidence that an investigation is being conducted in the first place, that any investigative action is under way. I believe it is absolutely justified that in a situation where no investigative action is in fact being taken, citizens under arrest – I mean entrepreneurs – should be exempt from arrest, from custody. The Supreme Court and the Prosecutor General’s Office should look into this. If necessary, the law can be amended. What is the most important thing is that these decisions are made promptly. Next, I consider it justified and extremely important to preclude the use of investigative measures leading to the suspension of business activity, including the seizure of hard discs from company computers and servers. If investigation needs this – and of course, this need does arise – it is enough to make copies, have them certified and use them during an investigation. Why create conditions under which an enterprise is unable to continue its activity, including its inability to pay taxes? Finally, we have agencies that protect entrepreneurs’ rights – there is Mr. Boris Titov with his team and his representatives at the local level. They should be given the right to represent the interests of their organization members in court – I mean business organizations such as the Chamber of Commerce and Industry, OPORA Russia and Business Russia, among others. If necessary, this can also be codified in law, but the idea is not to file class action suits or suits in the interest of an unlimited range of persons but to represent the interests of members of their organizations in a reasonable way. And I also hope that this will have a positive impact on the consideration of cases related to business activity or to violations of business laws. All of this – bearing in mind that our meeting is devoted to a different topic, that is regional development, even though it is very important – everything that I have said has a direct bearing on the economy as a whole, on the entire country, the conduct of business activity on Russian territory. We will formulate this in a special instruction. Thank you all for today’s work. 0 Comment to "Meeting on implementation of projects in Far Eastern Federal District"